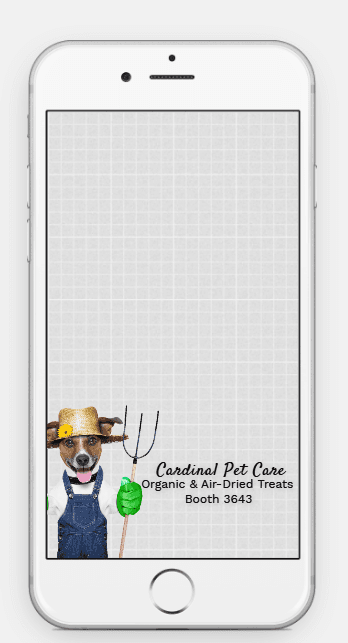 Cardinal Pet Care is using a Snapchat geo-filter to entice Superzoo Trade Show attendees (pet stores et al) to its booth (#3643) to meet and take a selfie with Farmer Fido. 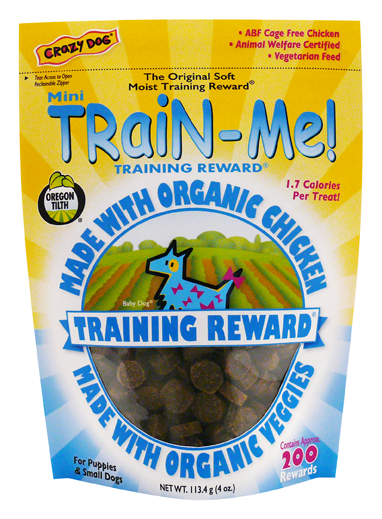 FF brings attention to the company’s new Organic Crazy Dog Train-Me! dog treats! They will find him next to one of the Farm Carts loaded with Organic dog treats! If they have the Snapchat app on their cell, all they have to do is click on the app when they're in the building and filters available at SuperZoo will show up. They'll see the Farmer Fido one. Then the go to #3543 and take a selfie with the filter open. The Snapchat geo-filter, focused on the Mandalay Bay venue targets Cardinal’s pet audience with the company’s organic message. When a trade show as large as SuperZoo leaves retailers wondering what there is to see, they can follow their filters. Or, they can choose to Treasure Hunt the show, spending 3 days looking for something! Later when they forget where they saw those organic treats, all they have to do is look through their Snapchat pictures (which they can now save!). Farmer Fido puts a memorable “organic” message in the minds of pet retailers and has Cardinal’s name and booth on the selfie.